Old Hickory Tannery Mitchell Upholstered Sectional Sofa (Left Facing) 136.5"
Handcrafted, hand-sewn upholstered sectional sofa. Made of maple and hardwood frame with wide-wale corduroy polyester. Construction: 8-way hand tied, doweled, and glued. 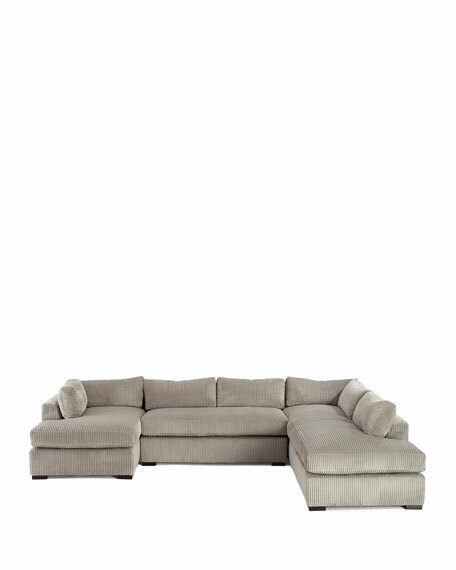 Arm-less section: 58.5"W x 36"D x 27"T.
Longer chaise: 90"W x 39"D x 27"T; 39" seat depth. 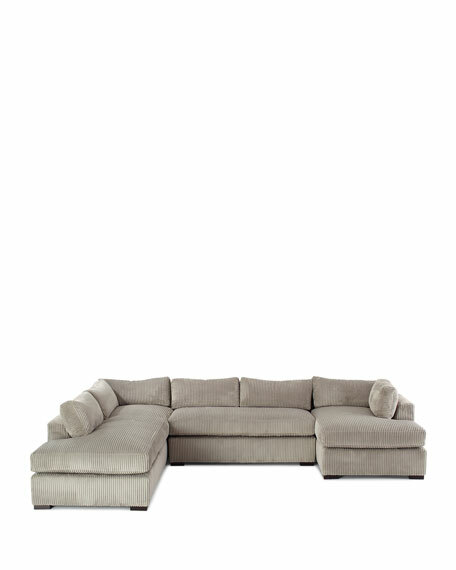 Short sofa piece: 39"W x 55"D x 27"T; 25" seat depth. Boxed weight, approximately 445 lbs. Old Hickory Tannery Mitchell Upholstered Sectional Sofa (Right Facing) 136.5"